Detail of frontispiece from Memoir of Eli Whitney, ESQ. by Denison Olmsted, 1846. 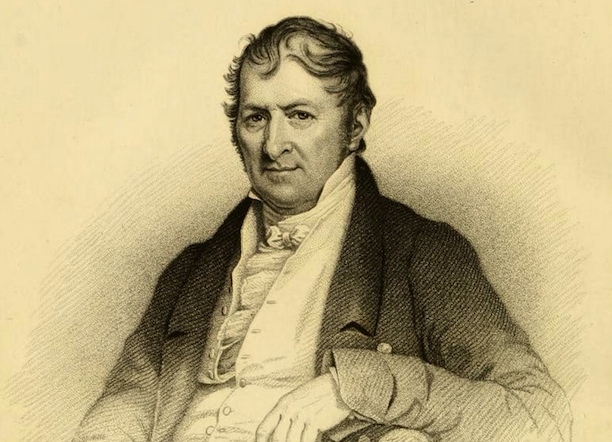 Eli Whitney was a scholar, inventor, and entrepreneur who helped revolutionize American production methods. After graduating from Yale in 1792, Whitney moved to Savannah, Georgia, to tutor school children in hopes of saving enough money to put himself through law school. Exposure to Southern agricultural practices gave Whitney the idea for the cotton gin, an invention that boosted local cotton production and fostered the creation of large slave-based cotton plantations. Whitney returned to Connecticut in 1793 and began manufacturing firearms in New Haven in 1798. Here his inventive nature proved profitable once again. Whitney helped develop a series of rifles made with interchangeable parts that helped give rise to the mass production of firearms in Connecticut. “The Eli Whitney Museum and Workshop,” 2016. Link. “Eli Whitney’s Cotton Gin Patent Drawing.” National Archives, 2016. Link. “Guide to the Eli Whitney Papers.” Yale University Library, 2016. Link. “Guide to the Whitney Arms Company Papers.” Yale University Library, 2012. Link. “Whitney Family: MSS 146 - Alphabetical Index of Manuscript Collections.” New Haven Museum, 2016. Link. Barber, John Warner. Whitneyville, Hamden. 1836. Drawing, ink. Connecticut Historical Society. Link. Green, Constance McLaughlin. Eli Whitney and the Birth of American Technology. Boston: Little, Brown, 1956.
Cooper, Carolyn, and Merrill Lindsay. Eli Whitney and the Whitney Armory. Whitneyville, CT: Eli Whitney Museum, 1980. Olmsted, Denison. Memoir of the Life of Eli Whitney, Esq. New Haven, CT: Durrie & Peck, 1846. Link. Woodbury, Robert S. “The Legend of Eli Whitney and Interchangeable Parts.” In Technology and Culture; an Anthology, edited by Melvin Kranzberg. New York, NY: Schocken Books, 1972. Mirsky, Jeannette, and Allan Nevins. The World of Eli Whitney. New York, NY: Macmillan, 1952.